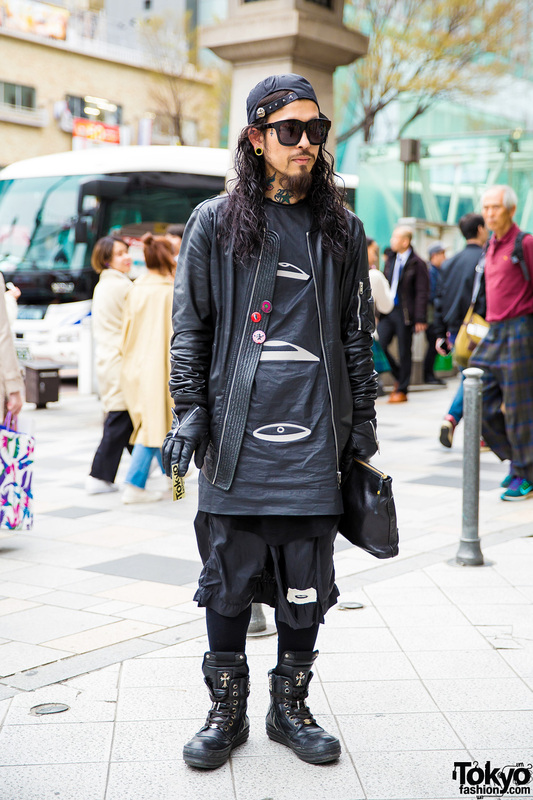 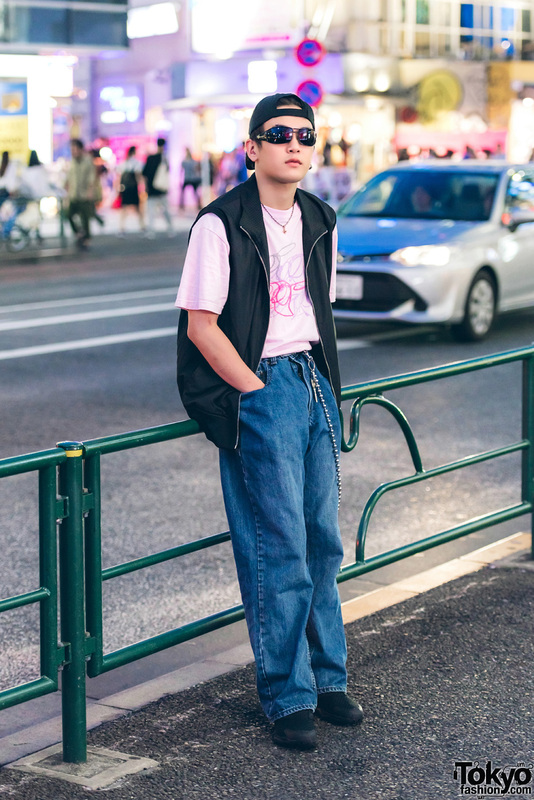 Harajuku fashion college student in casual street fashion with vest over t-shirt, denim pants, black sneakers, backwards cap, sunglasses, and a silver chain. 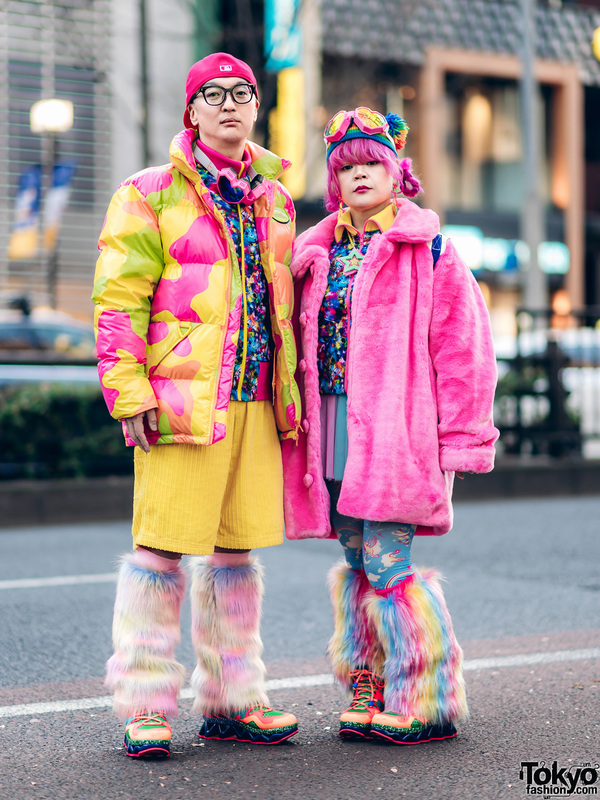 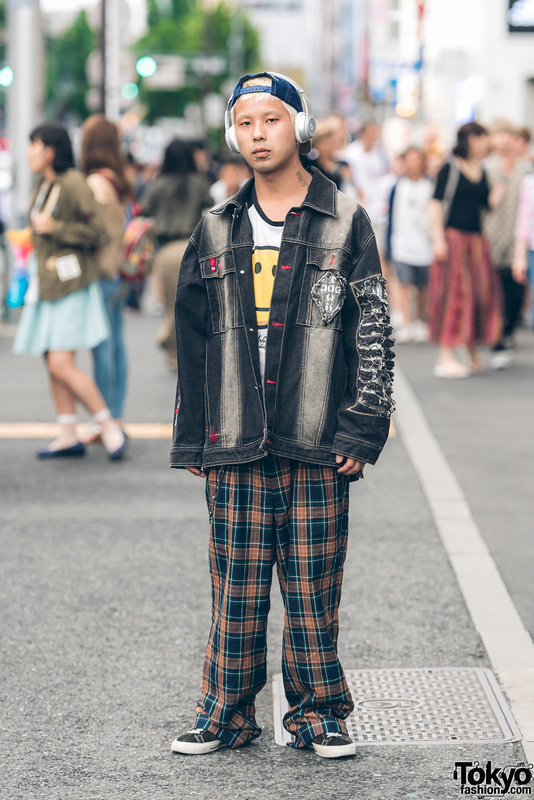 Harajuku shop staff in vintage casual wear with denim jacket, smiley face t-shirt, plaid pants, black sneakers, cap worn backwards, and headphones. 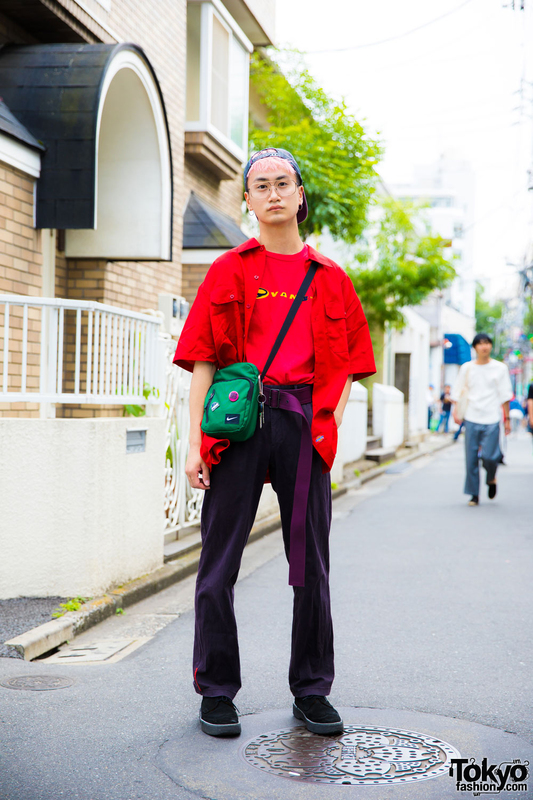 Pink-haired Harajuku student in streetwear look with backwards cap, red button down shirt over red t-shirt, purple pants, black sneakers and crossbody bag. 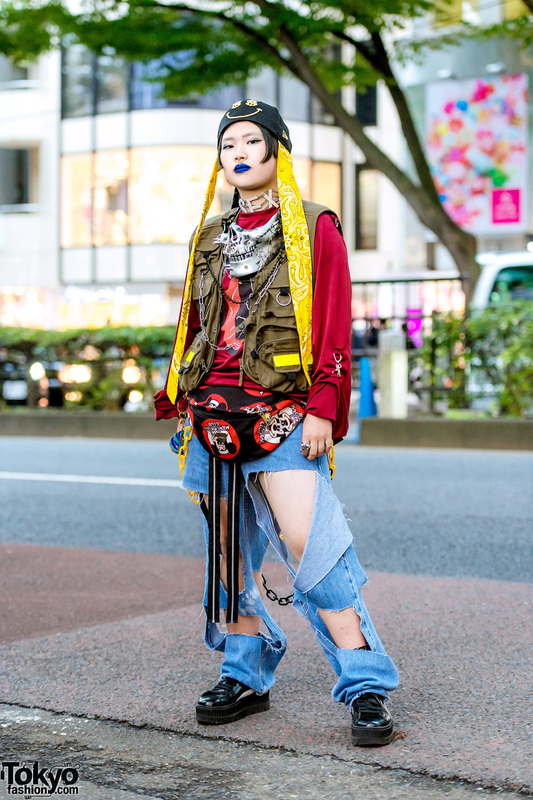 Harajuku girl wearing a graphic t-shirt under red overalls, with sneaker print backpack, star pin, flames sports cuff and Adidas.